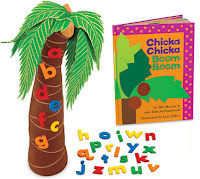 Last week was all about Chicka Chicka Boom Boom in our classroom. I love the rhythm, rhyme and colorful illustrations. First, we read the book a few times, talking about what exactly is happening on each page. Questions like "Why do you think the tree is bending?" are super simple ways to check for comprehension. 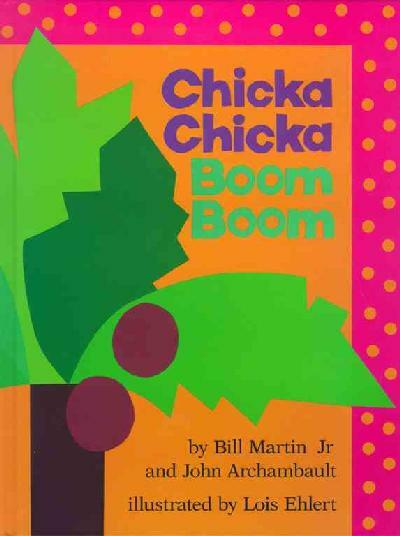 The next day, we learned the Chicka Chicka Boom Boom song by John Archimbault, and followed along in the book. I love this song, and use it throughout the year during transition times. It is 2 minutes and 30 seconds, the perfect length for clean up time at the end of center time. Then the fabulous Ms. C did an art project with the children. 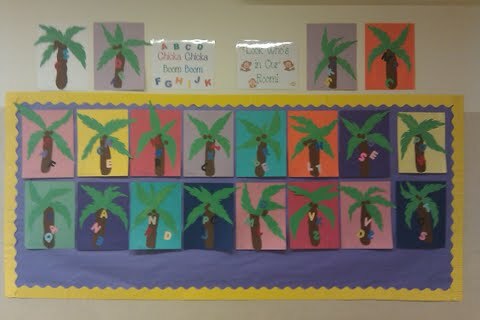 She prepared the coconut tree parts, and traced magnet letters to make letters out of construction paper. The children glued the separate pieces of the coconut tree onto a sheet of construction paper, which was a great activity for following directions. They then glued their initials onto the coconut tree. SO ADORABLE! I wish I was as crafty as Ms. C! During center time, we had two great Chicka Chicka Boom Boom centers available for the children to use. 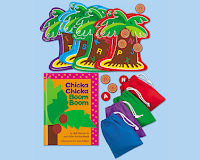 The Chicka Chicka Boom Boom Activity Tree is made out of soft cloth and the children use it to act out the story. They love it! The second center is a literature based alphabet center. 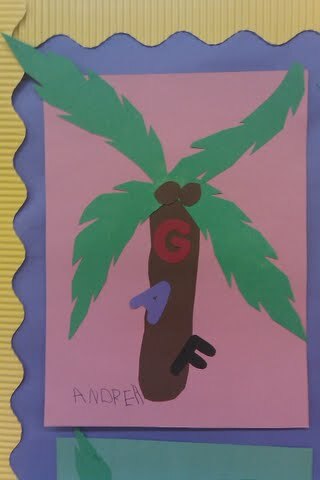 The children match the letters on the coconuts to the letters on the coconut tree. It can be done lowercase to lowercase, uppercase to uppercase or lowercase to uppercase. Both centers are from Lakeshore, but could easily be made by a crafty teacher! The last thing we did is to make a Chicka Chicka Boom Boom themed name word wall. I ordered the coconut tree from Carson Dellosa last year. I added die cut letters in six different colors. 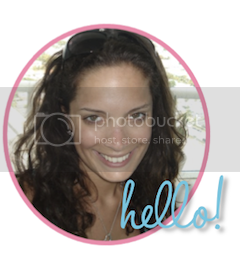 I also printed out a 4 x 6" photograph of each child and added a name label at the bottom. Then we had the children work together to figure out where to put each child's picture. For example, "Where should we put Johnny?" and they figured out that his picture should be next to the J. Not only was this a great literature based activity, but it livens up the classroom and the children will be using it all year to write one another's names. she had a wonderful class.